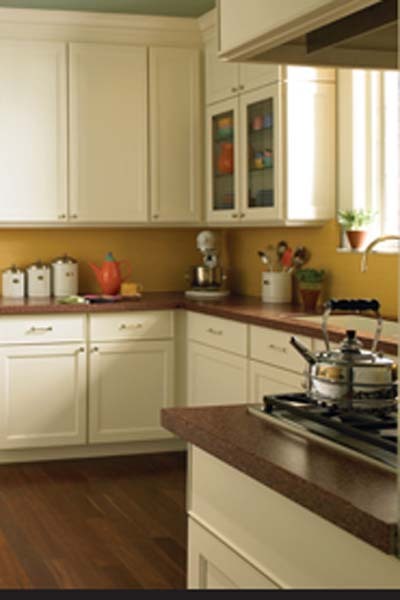 No other countertop surface is as versatile in the kitchen as solid surface. It is available in dozens of colors, patterns and textures. It can be seamed practically invisibly to create watertight backsplashes or formed in sinks. It is renewable, which means it can be made to look good as new even after years of constant use. It is backed by a 10-year installed warranty. It can be personalized with inlays, unique color combinations and accessories, such as built-in drain boards, to reflect your family's tastes and lifestyle.